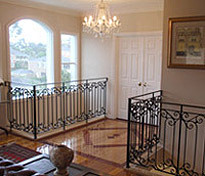 Welcome to Warp Ironworks, industry leaders in custom-designed and hand-produced wrought iron fences in Melbourne. 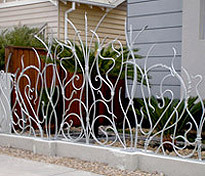 Our passion for all styles of decorative iron and our unsurpassed personalised service will ensure that your crafted wrought iron fence is a piece of art, rather than just another catalogue design. 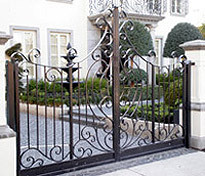 Our experienced wrought iron craftsmen aim to provide all our valued customers with an individually customised wrought iron fence at a price to suit their budget; without ever compromising on quality. 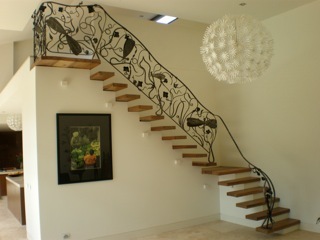 At Warp Ironworks, our professional staff can give you the right service and advice to design a personalised and beautiful wrought iron fence for your Melbourne property. Our expert craftsmen deal directly with our clients, ensuring that the final product is exactly what you envisioned. We never substitute our iron products with pre galvanized products, and use both modern and traditional techniques to produce the most stunning, immaculate and durable metal fencing available on the Melbourne market. Our customers never have to settle for an ‘off the shelf’ wrought iron fence of inferior quality or poor design, giving you the peace of mind and value for money you deserve. 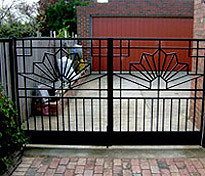 Call us today to find out how we can assist you with the best metal fences in Melbourne.